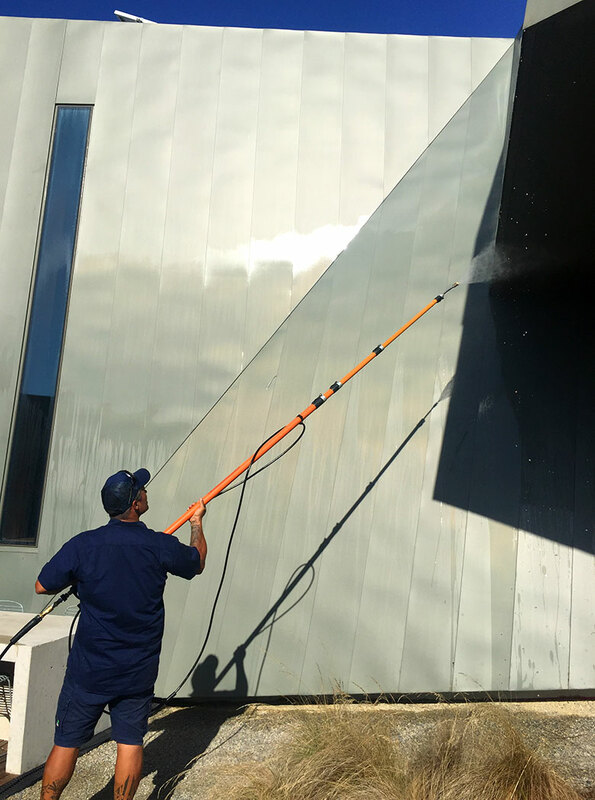 WHEN IT COMES TO WINDOW CLEANING MELBOURNE, REALM PROPERTY CLEANING SERVICES MAINTAIN A FIRM COMMITMENT TO PROVIDING ONLY THE HIGHEST QUALITY & ECO-FRIENDLY CLEANING SERVICES. WE’RE NOT HAPPY UNLESS YOU’RE HAPPY. The team at Realm Property Cleaning Services are immensely proud of our reputation as industry leading window cleaners. We offer a full range of window washing services for homes, residential complexes and commercial properties across Melbourne. Whether you represent lifestyle precincts, aged-care facilities, schools, hospitals, owners corporations, builders, developers, commercial facilities or residential properties, let us wow you with a comprehensive property cleaning solution. Are you searching for a professional cleaning service? With a system of training and certification that ensures a quality job every time? With a decade of experience, Realm PCS have developed the specific skills required for a wide range of cleaning tasks. We take a best of breed approach to our cleaning systems. Because we use the latest cleaning technology across all our services, you get superior results in the most efficient and cost-effective manner possible. Our dedicated team are fully trained on the comprehensive range of specialised equipment needed to get your job done. 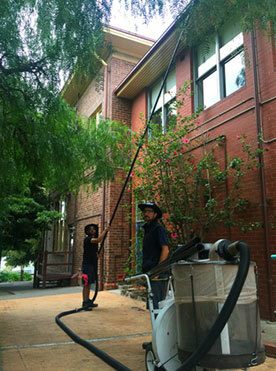 As a result of our investment and training, Realm PCS are the Reach and Wash window cleaning specialists in Melbourne. As well as window cleaning equipment, we use cutting-edge gutter vacuuming systems, high pressure cleaners, concrete pressure washers, carpet cleaners and just about every cleaning tool imaginable. Are you looking for a company that actually handles all aspects of your project in house, without subcontracting those specialist tasks? Keeping track of your project, no matter how big or small, is easier when you have a single point of contact. As a result, you have one person to call who coordinates all your cleaning needs. Let us help you reduce the risk of multiple contractors and the associated administrative workload. Do you need a company that has developed a site management and safety coordination plan? Because safety is important to you, the safety of your site, staff and the public is at the forefront of all our work. 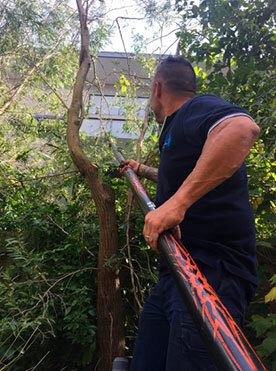 Realm property cleaning services create comprehensive site management and safety coordination plans including Safe Working Method Statements (SWMS) for every project. Staff undertake toolbox meetings for EVERY job. The safety of our staff and the public are central to our work method. Because of this, we are leaders in implementing best practice cleaning systems. For example, we use the Reach & WashⓇ pure water system for many window cleaning jobs. 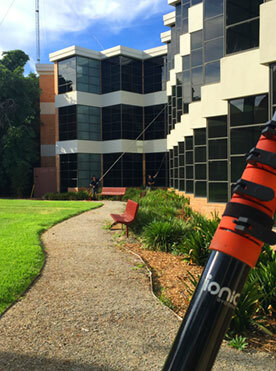 Our window cleaners use telescopic water fed poles and can reach and clean windows up to a height of 24m (80ft), from the safety of the ground – thereby removing the risk of working at height. Are you looking for competitive quotes that represent real value? Our service delivery stems from a strong company service culture grounded in the work ethic of our dedicated team, and the pride we take in a job well done. We use the best cleaning equipment in the business. Because of this, our prices are competitive . We take a professional approach to every job, small or large. As a result, we work faster, not by cutting corners, but through efficient work practices. Contact us now to experience the Realm difference.